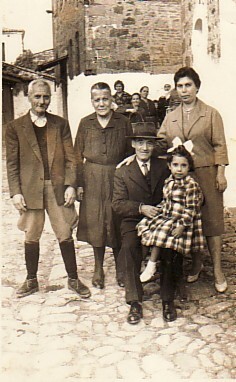 Above: My parents, Chrysostomos and Angeliki, with my sister, Eleni- and her daughter, Mary. The fellow with the cap is a visiting relative. 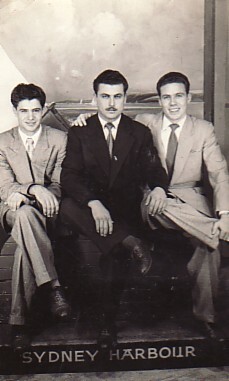 Above Middle: With my father's brothers, Panagiotis and Efstratios. 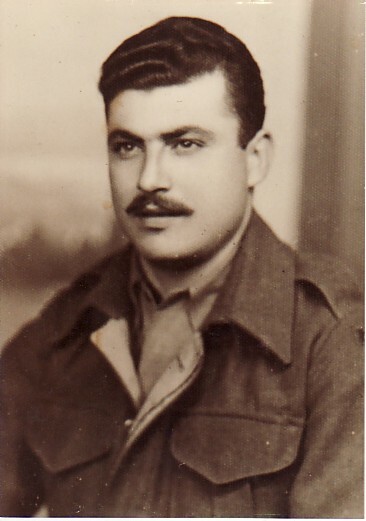 Above Right: A portrait taken during my National Service (1947-52). 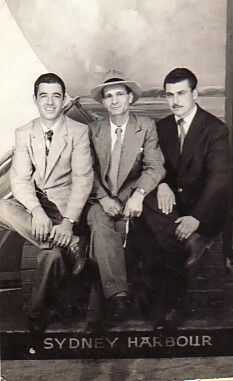 Above: With horiani, Giorgos Angelis, and Dimitrios Andreou. 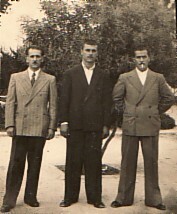 Above Right: With horiani, Modestos Kalintzis and Zarbinios. Above: Goulburn, 1956. 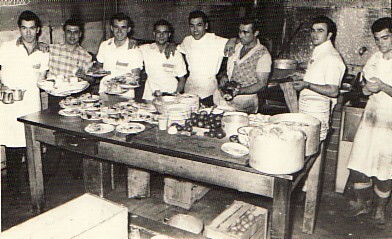 In the kitchen of the Paragon Cafe; I am second from the left. Above Right: Two photographs of me at the All Night Milk Bar in Goulburn. 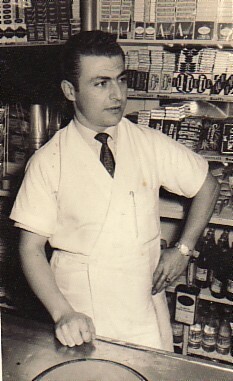 I owned the business for a few years (1957-60). 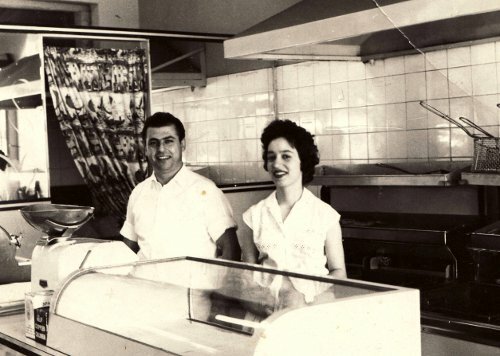 Above: With my wife, Mersa, in our business, Dolphin Seafoods, in Strathfield, Sydney. We owned the business fro four years (1960-64). Above Right: With my wife, Mersa, and our children, Angeliki and Chrysostomos (Chris). 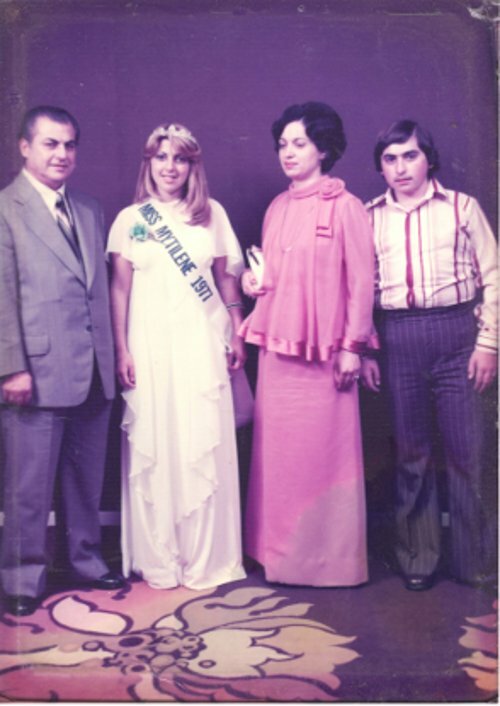 That year, 1977, Angeliki, was crowned Miss Mytilene in the fundraiser by the Mytilenian Brotherhood of N.S.W.